Click the Renewing Members button below, locate your name/record, then click “Renew” to renew for the same term and category. All brand new members should use the New Members button. 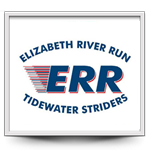 The Tidewater Striders is one of the largest running clubs in the United States. The Tidewater Striders promotes fitness-related activities including running, walking and multi-sport events. All levels of ability are welcomed. The Tidewater Striders is a club for everyone – not just the elite runners. There is a place for people of all levels of fitness from the social fitness walker to the most competitive racer, as well as multi-sport participants. The current membership is approximately 1700 individuals. Our members are not only people in the Tidewater area; we also have members that have moved throughout the US. Road Runners Club of America (RRCA) memberships for all Striders. Subscription to the monthly newsletter, The RUNDOWN, which, includes local and regional race schedules, race entry forms for upcoming races and events, complete race results, and informative articles on nutrition, cross training and fitness and health. The RUNDOWN was the winner of the Road Runners Club of America (RRCA) Best Publication for 1998. Discounts at participating area businesses. FREE Summer Series races. 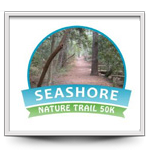 The Summer Series is a group of three runs that promote fun and camaraderie within the running/walking community. The annual dues are only $20, which will pay for itself when using your club discount at local business. We offer a youth membership for kids 18 and under for only $12, a two person membership for $25 and family membership (3 or more family members) for only $30. Two person and family memberships have to all live at the same address. We offer college scholarships to Strider youth based on academic & athletic achievement and community & Strider involvement and service. $27,000 was awarded for the 2017-18 school year. We offer camperships to youth members to financially assist their attending cross country or running camps over the summer. See you on the road! Just keep running/walking or just having fun!